Ever wondered what a typical day is like in the life of the Cyrus family? Well… now you can find out! The lovely Noah Cyrus recently made a huge announcement – and what better place to announce her news than at the event of the year – the DigiFest LA! Noah Cyrus announced that her family will be having their own Youtube channel called Seriously Cyrus featuring Noah, Miley, Braison, Brandi, Trace, Tish and Billy Ray Cyrus! So incredibly exciting!! The Cyrus family is truly a family that is adored world-wide so the release of this excellent news from the one and only Noah Cyrus was definitely an excitement for everyone! I, Alexisjoyvipaccess had a marvelous time interviewing the magnificent Noah Cyrus at the incredible DigiFest LA on December 14, 2013 at the Hollywood Palladium. The ravishing and fashionable Noah Cyrus dishes exclusively to Alexisjoyvipaccess all about Seriously Cyrus, her fashion must-have and so much more in our VIPAccessEXCLUSIVE interview! What’s Noah Cyrus’s tradition with her dad, Billy Ray? (**Hint** It has something to do with cereal!) 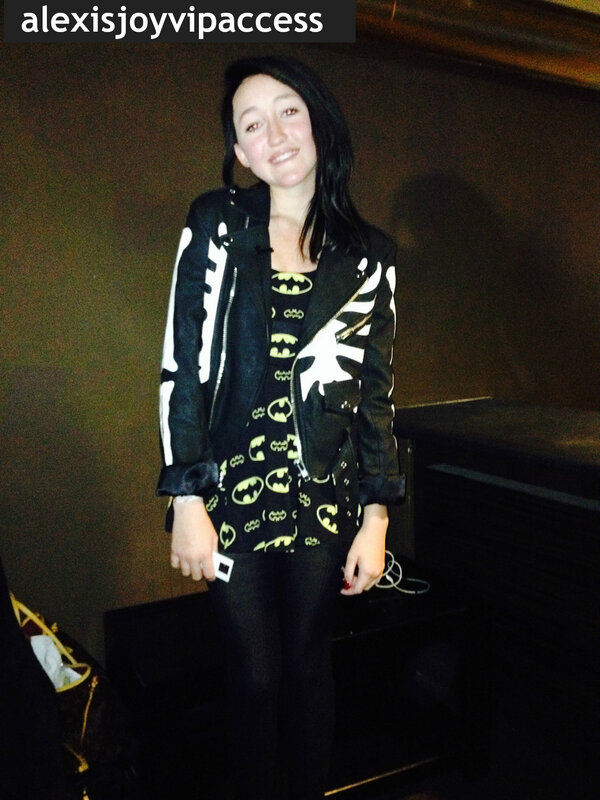 Find out Noah Cyrus’s answer to that and more in our VIPAccessEXCLUSIVE interview at the DigiFest LA below! Thanks for the fabulous interview, Noah! Check out my VIPAccessEXCLUSIVE interview with the amazing Noah Cyrus below! Previous VIPAccessEXCLUSIVE: LohAnthony Exclusive Interview With Alexisjoyvipaccess At DigiFest LA! Next VIPAccessEXCLUSIVE: Rebecca Black Exclusive Interview With Alexisjoyvipaccess At DigiFest LA!